In May we introduced a new dress code for our St Luke’s nurses and community teams, the latest step in reinforcing the St Luke’s name. For too long patients have not been able to distinguish St Luke’s nurses as being from St Luke’s, often mistaking them as nurses from other charities, especially when they have had previous access to multiple carers. 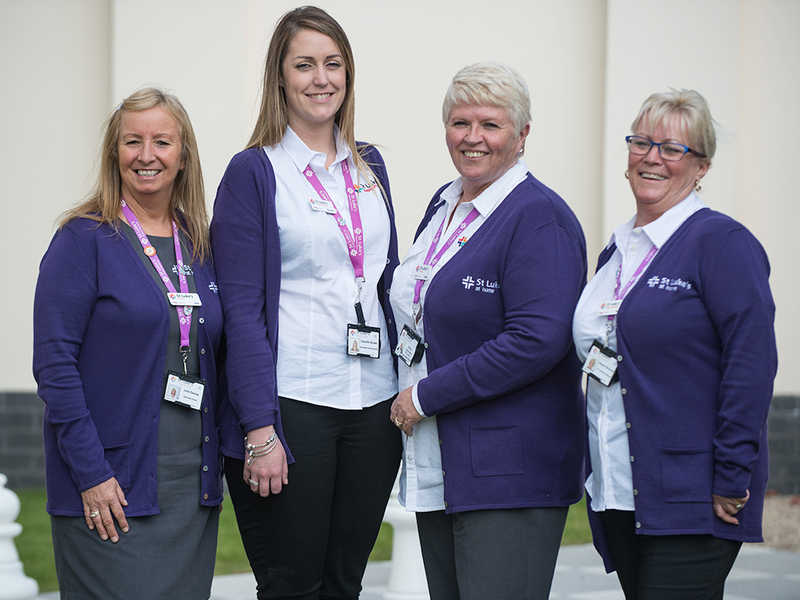 Despite traveling over 60,000 miles a year to help people in their homes, we still suffer from a lack of awareness that our care at home is a full specialist service that only we offer. In a move to create a consistent and professional clinical workforce, our St Luke’s at home and hospital teams are now dressed in a smart new uniform, clearly identifying them as from St Luke’s. Alongside the new dress code, we have also introduced name badges to help improve patient engagement and to help patients feel more at ease when in contact with our staff. This came about from the #hellomynameis campaign, a national campaign that was launched by Dr Kate Granger, who died last year from cancer, to encourage and remind healthcare staff about the importance of introductions in healthcare. In other news, all St Luke’s band 6 community and hospital nurses are now operating a rotational system to improve their skill set in both acute and community settings.